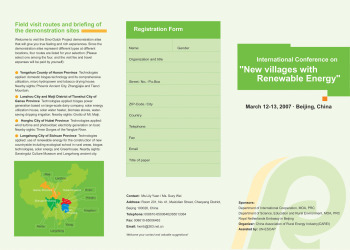 We have an honor to invite you and your colleagues to attend the international conference on New Villages with Renewable Energy to be held in March, 2007, and the details please see the attachment. This is the first round information of the conference, and please pay attention to our continuous conference update for more details later. Select image below. Select "Original" for full view. 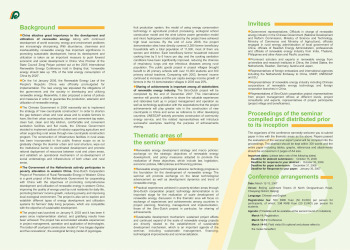 Or download attached brochure.